My family were farmers. I have always loved Paul Harvey's story about a farmer. When I saw my daughters bracelet I knew had to have one. I got it a lot sooner than I thought and I absolutely love it. It fits perfect. 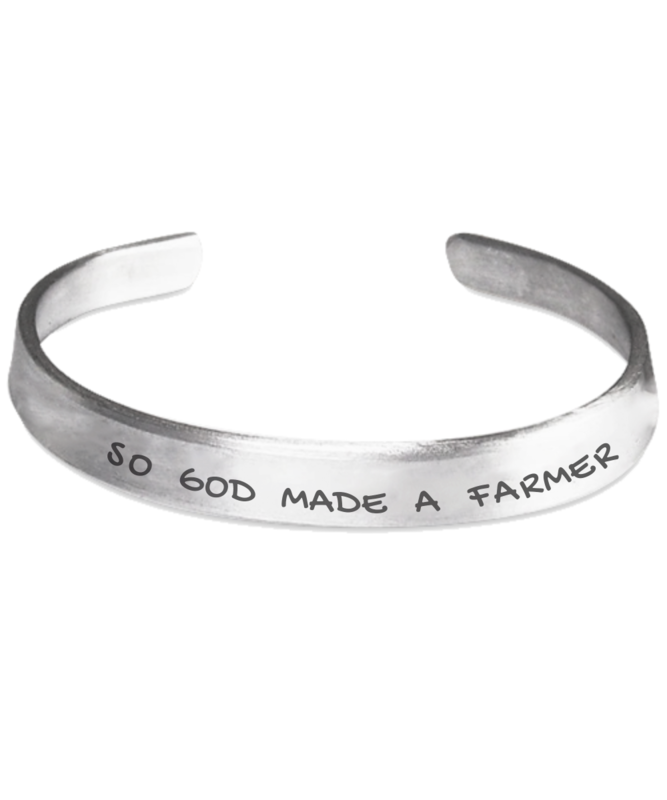 All my ancesters were farmers so when I saw this bracelet, I had to have it. It arrived in a timely fashion. It is adorable. The words are just large enough for me to read (I'm old). It is plyable enough to fit snugly on the wrist. I love it!!!! Bracelets are as expected and the little bag was a nice surprise. Love the bracelet. Light weight. Comfortable. And very authentic looking! !